There are times when life is messy and ugly and painful. Exhausting, unforgiving and cruel. When it hurts so much, you just wish you had the guts to end it. I get it. I’ve been there. My lows were scary low sometimes. So much so, that I don’t ever want to talk about it. I always say I choose to focus on the rising. Not the breaking. And I do. Because this mentality is what has carried me through the depths of my despair. But before I could see the light through my own darkness, I had to know there was a light to search for. That there is light. That I was that light. I am that light. You are that light. And it changed my life. This movie resonated so much with me. I saw myself in the anger and despair of Aniston’s character. Her lost soul following a path of self destruction. I’ve felt that hopeless before. I’ve touched that anger and I stepped out of living. I used grief as an excuse to hold me prisoner in that space and I chose to harbour that grief and not step into life. That was the choice I made, though I didn’t realise I was choosing anything at the time. It was simply my reality. It was awful. And it hurt so much that I don’t even like remembering how how helpless and hopeless I felt. I don’t like to talk about the darkness. But you know what? Sometimes we need to and it can still be ok. Because although life can be cruel and unforgiving. Messy. Ugly. Excruciating. Unjust. Plain frikkin hard. It can also be gracious and beautiful. Loving, nurturing, hopeful. Fair. And worth it. So so very worth it. And because I have occupied both sides of the spectrum in my life… Walking the line between heartache and grace. Moving beyond not only the childhood abuses, but my adult excuses. I know that painful, amazing journey intimately. And yes, there were many lows, you don’t forget the lows. But you know what that does? Makes the highs phenomenal! Helps you find the extraordinary in the ordinary. It is the ordinary moments that make up the majority of our life. When you can find extraordinary in the simple privileges in life, life will start loving you back. This is one movie I cannot recommend highly enough because it is so real. So beautiful, raw and authentic… and we can all relate. Cake 2014 – Jennifer Aniston gave the performance of her life. Wow! I have no words. Such powerful words and the trailer…..through the tears and lump in my throat….breathtaking!! LOVED this movie. 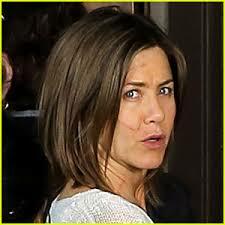 I agree with you that JA should receive an Oscar.